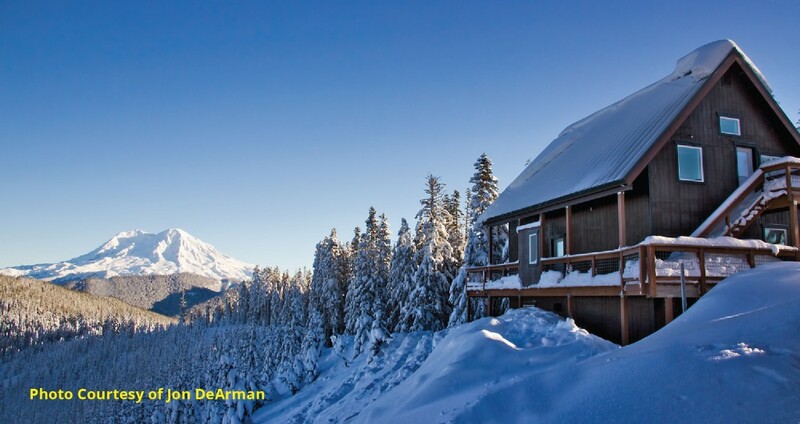 The Yurt is nestled in a forest at 4,100 feet, with a view of the top of Mount Rainier. 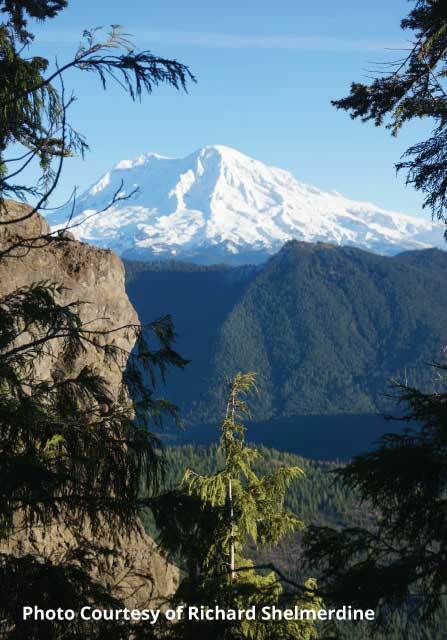 The trail is a strenuous 6.0 miles, requiring the longest amount of time to reach the comfort of shelter. You will find much solitude at this, our furthest destination. 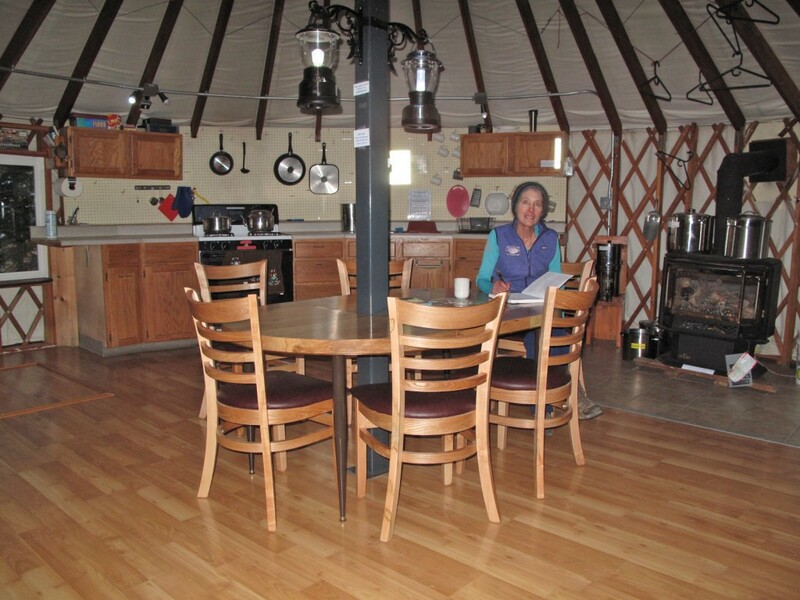 A Yurt is a portable round dwelling structure traditionally used by nomads on the Steppes of Central Asia. 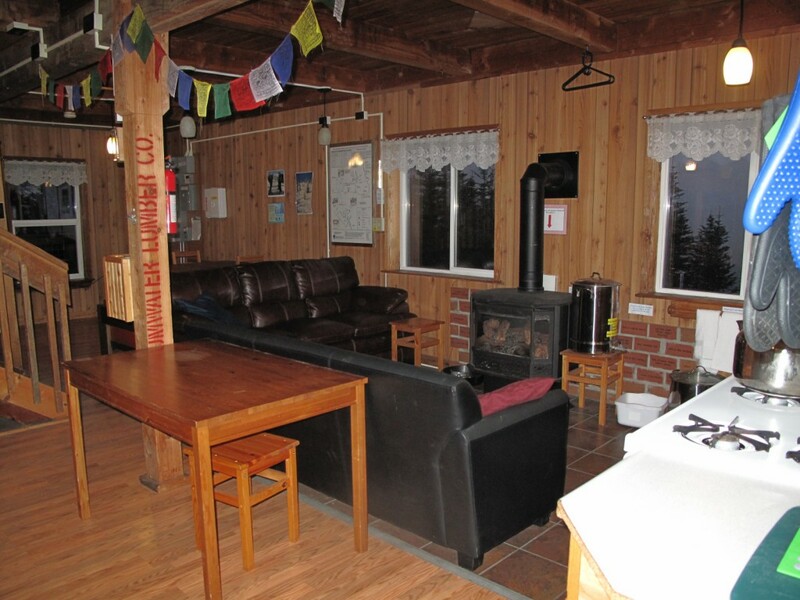 Our Yurt is a beautifully simple structure, well stocked with all the amenities for a comfortable stay in the mountains. 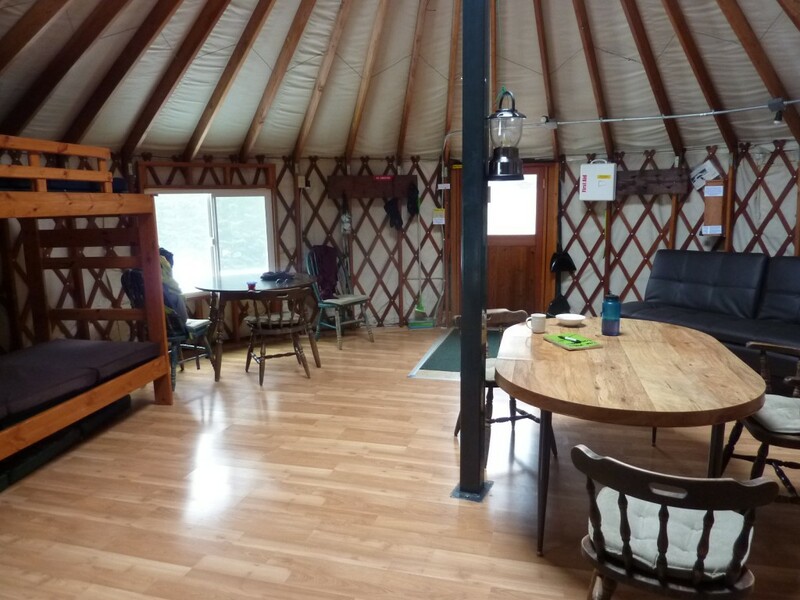 The Yurt sleeps up to 6 people in one great space. 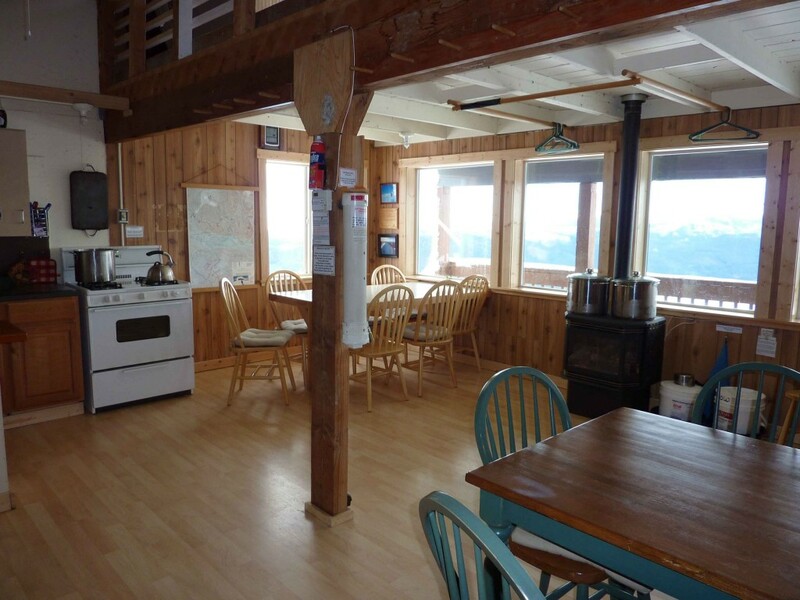 A propane fireplace keeps the Yurt nice and warm, and a 4-burner range top is provided for cooking; there is no oven. 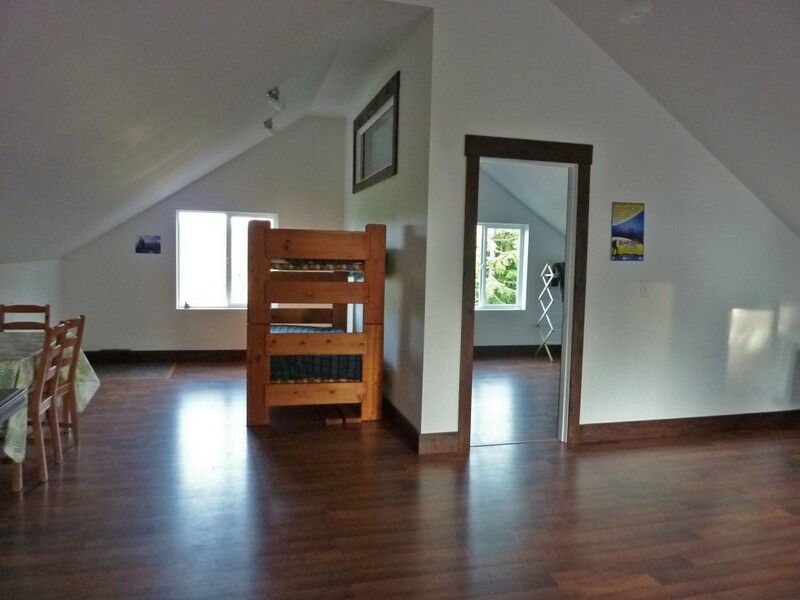 Solar lighting is provided, as well as sleeping mats. 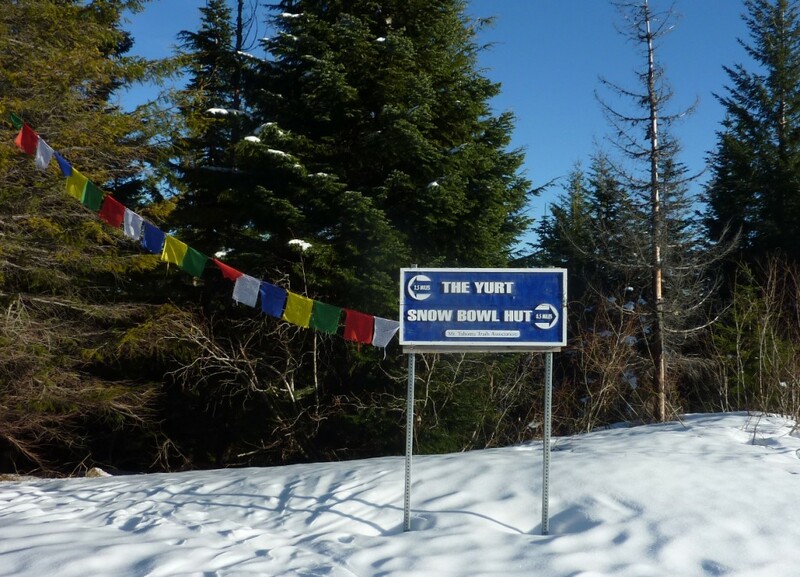 The trail to the Yurt is a strenuous 6.0 miles. The sustained uphill grade, although moderate, requires a good amount of fitness to be safely enjoyed. 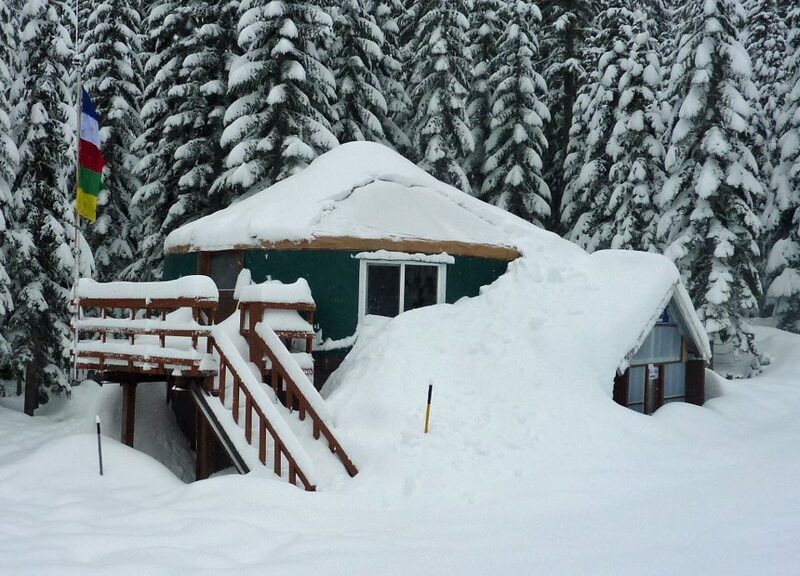 Please don’t try the Yurt on your first visit, unless you are prepared for a challenge. 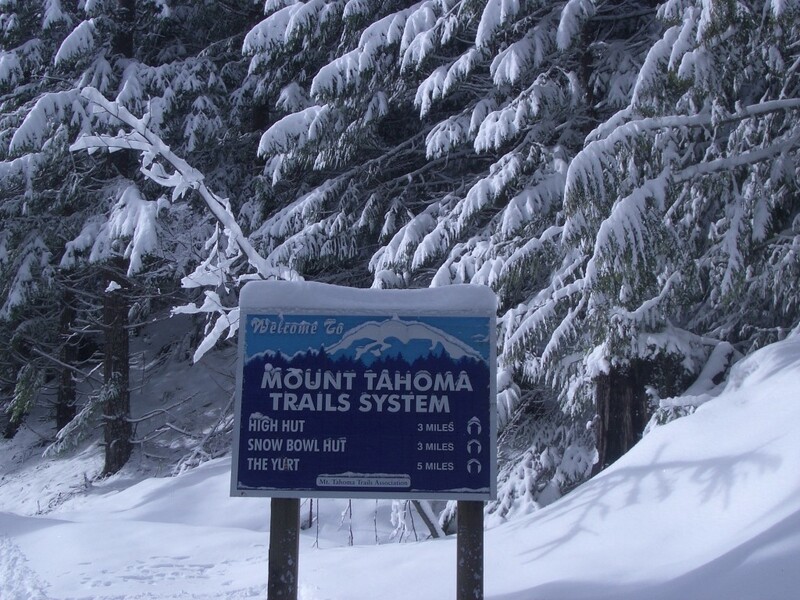 There are many times our volunteers cannot get out to groom right after a snow storm, and you should be prepared to break trail on your trek out in that event. 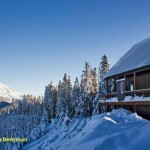 The Yurt is nestled in a forest at 4,100 feet, with a view of the top of Mount Rainier. 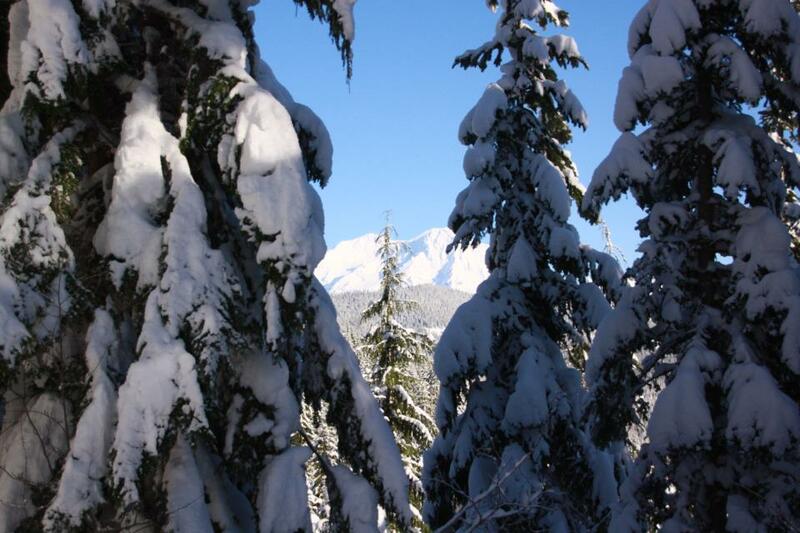 You will find much solitude at this, our furthest destination. 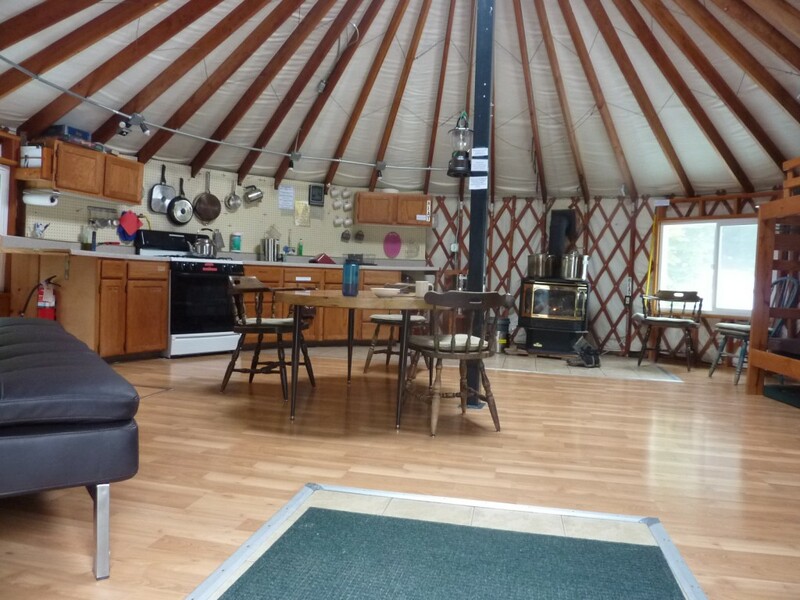 The Yurt itself rings with symmetry, harmony and peace…. We hope you enjoy it! 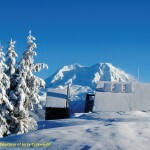 Access/Parking/Facilities: See FAQ. 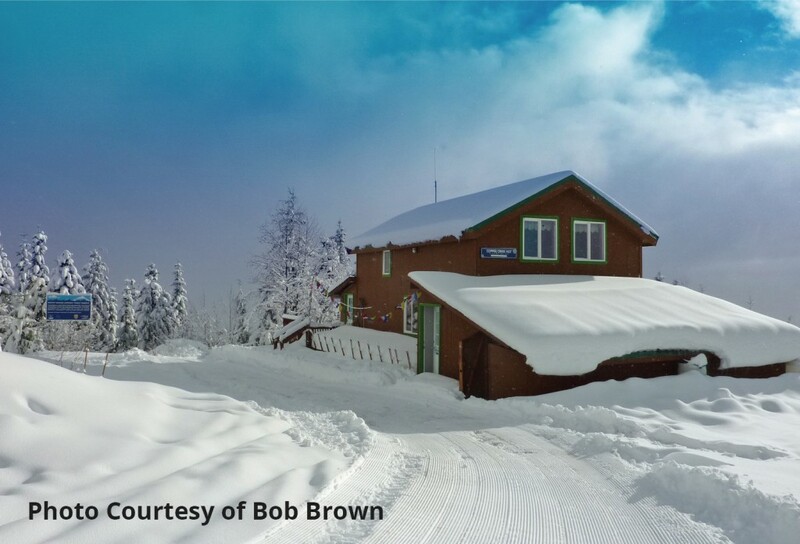 Located in the South District, accessed via the DNR 1 Road off of Highway 706 in Ashford. 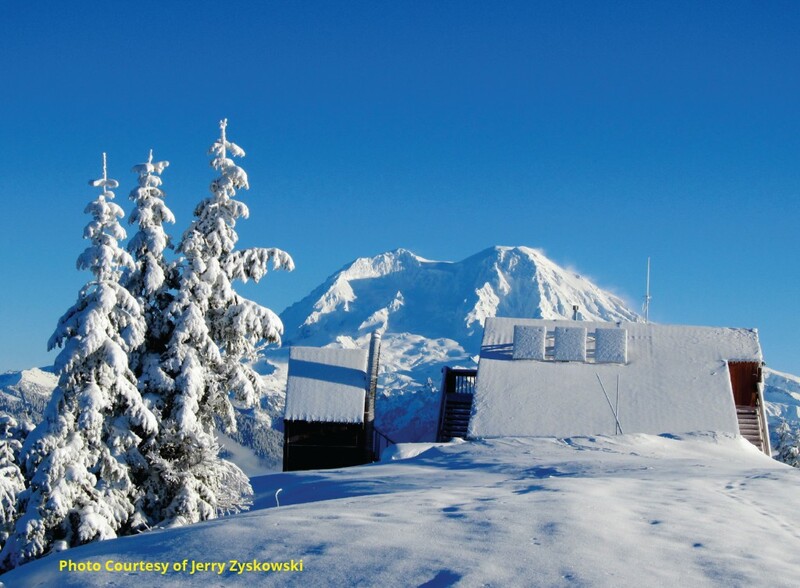 Difficulty: The trail to the Yurt, with 1,800 feet of elevation gain, is a moderate but sustained uphill walk. 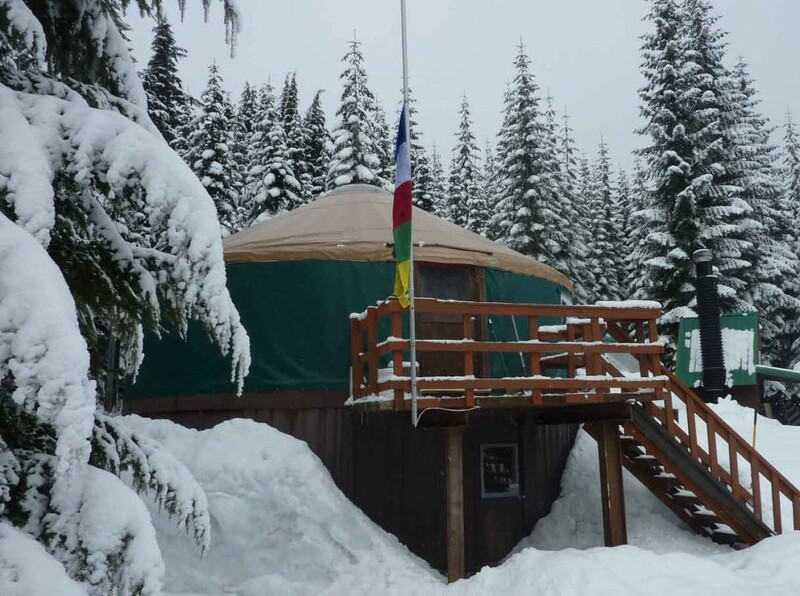 Most groups take 4 to 6 hours to reach the Yurt (one-way).